(NaturalNews) Upwards of 57 pesticides are responsible for poisoning European honey bees and contributing to the rapidly declining bee population worldwide. Multiple studies have confirmed that there is a strong link between herbicide use and bee deaths. Although there are various factors at play, multiple lines of research converge on herbicide use as a significant variable. So much so, that the European Union has issued a ban on the use of neonicotinoid herbicides. A recent study focused on this link was published in the Journal of Chromatography. Researchers are faced with the challenge of trying to understand which combination of herbicides impacts honeybees in different ways. In order to examine this more quickly, researchers from the National Veterinary Research Institute in Poland have developed a way to analyze 200 pesticides at once. "Bee health is a matter of public concern -- bees are considered critically important for the environment and agriculture by pollinating more than 80% of crops and wild plants in Europe," Tomasz Kiljanek, lead author of the study from the National Veterinary Research Institute in Poland, said in a press statement. "We wanted to develop a test for a large number of pesticides currently approved for use in the European Union to see what is poisoning the bees." Given the vast range of herbicides currently in use, it is hard to determine which ones are detrimental to bees. Kiljanek and his colleagues used a method known as QuEChERS – often deployed to detect the presence of herbicides in food – to investigate over 70 bee poisoning cases. Approximately 98 percent of the herbicides they analyzed were allowed to be used in the European Union. The researchers found that 57 herbicides were present in poisoned bees. Herbicides, even in low concentrations, can impair the bees' immune systems, enabling viruses and parasites to destroy the colony. The team hopes that their findings will broaden the knowledge of different herbicides that are dangerous to bees. "This is just the beginning of our research on the impact of pesticides on honeybee health," Kiljanek said. "Honeybee poisoning incidents are the tip of the iceberg. Even at very low levels, pesticides can weaken bees' defense systems, allowing parasites or viruses to kill the colony," he added. 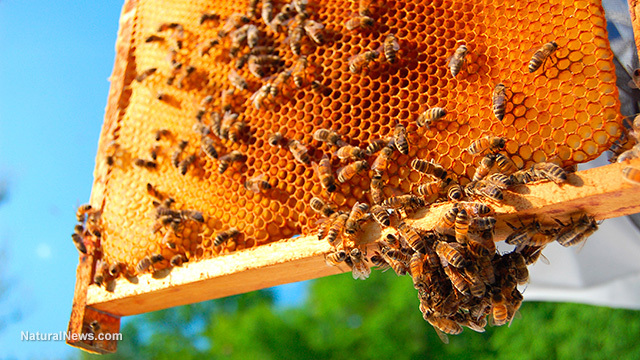 "Our results will help expand our knowledge about the influence of pesticides on honeybee health, and will provide important information for other researchers to better assess the risk connected with the mix of current used pesticides." Previous research centered on other factors attributed to the decline of the global bee population, like climate change and disease. It has been suggested that diesel exhaust, for example, could be altering half of the floral scents that bees use to seek flowers, which could be responsible for the death of some bees. A United Nations alert issued last February warned that hundreds of billions of dollars worth of crops could be wasted because of the declining bee population, putting the global food supply at risk. One out of every six species of vertebrates are facing extinction, while two out of every five bee, butterfly and pollination insects are also in grave danger, reports TechTimes.